You will be aware that schools and academies in West Sussex remain massively underfunded when compared to the national average or London. This year, West Sussex children received £44m less than the national average and £200m less than the average London borough. This unfairness is having a crippling effect upon schools across the county. 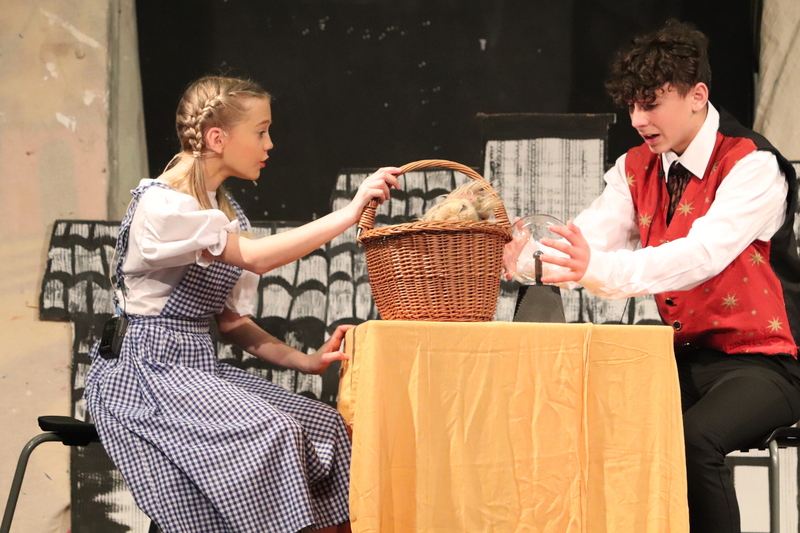 During the last school year, ‘Worth Less?’ campaigned for interim funding support to help us overcome the current situation. The government refused to support and told us that matters would improve with the introduction of a National Fair Funding Formula that would be in place by April 2017. This is no longer the case and the introduction has been delayed with no clear future date set. To make matters worse, the government continues to state that education funding has been protected. Again, this is simply not true. Costs in areas such as pensions and National Insurance contributions are estimated, by the Independent Institute of Fiscal Studies, to have further slashed our budgets by 8-10% year on year. Increasing teacher to pupil ratios again. Reducing basic services such as cleaning and site and premises work. Stopping any investment in books and IT equipment. Designing curriculum offers that fulfil only basic requirements. Not replacing staff who leave. As you can imagine, such radical considerations are the very last thing that any school wishes to do but we are being given no option. We do not understand why children in our school are ‘Worth Less?’ than others around the country. Even when a National Funding Formula is introduced, it will take at least three years to have a really significant effect on our budgets. We cannot wait that long. Recently, the government has announced initiatives such as the ‘academies for all’ programme and the introduction of new grammar schools. £500m was earmarked for the academies programme with a further £50m for the grammar school policy. This proves that the money is there, should government wish to spend it on our children. It is the belief of all school leaders that the time has come for immediate action that will enable us to provide the service that your child deserves. To that end, we are again urging the government to pledge a minimum of £20m to West Sussex for the new financial year beginning April 2017. This would still leave us lagging way behind the national average but it would mean that we can cope. After your support during the last school year, we urgently need it again. This can be done in a straightforward way but it will have a massive effect on government. Simply go to the Worth Less? 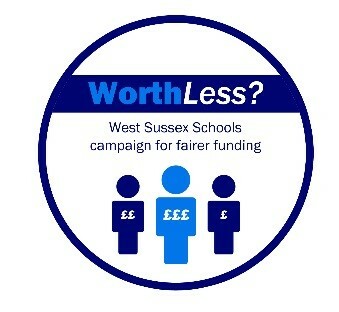 Facebook page: (www.facebook.com/WorthLessWestSussex) and like the ‘£20 million transitional funding’ image. We already have over 13,000 followers of the Worth Less page – if we can get huge numbers to like our campaign then we can deliver the message, with your children, to 10 Downing Street over the next two to three weeks. We all hope that, with support from politicians, the message will finally get through and appropriate action will be taken. We believe that we are ‘one click for fairness’. School leaders will always act responsibly on behalf of the children we educate and care for. We need your support in order to do this to the best of our abilities. Please help us to do this by clicking on the logo now.